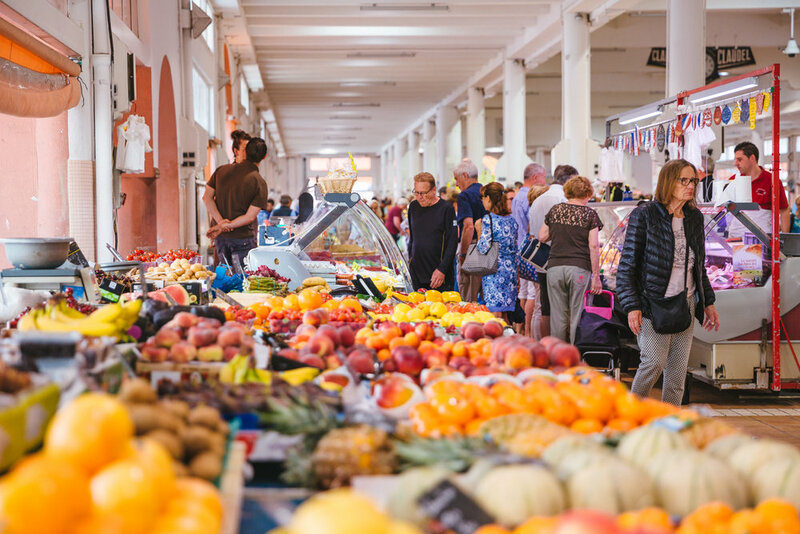 By the way, shopping at a food market is a great way to practice your French, but do it judiciously; the vendors are there to sell their stuff, not to give you a free language lesson. So, your best bet is to buy something and not go to a market just to brush up on your verbs. You get my drift. 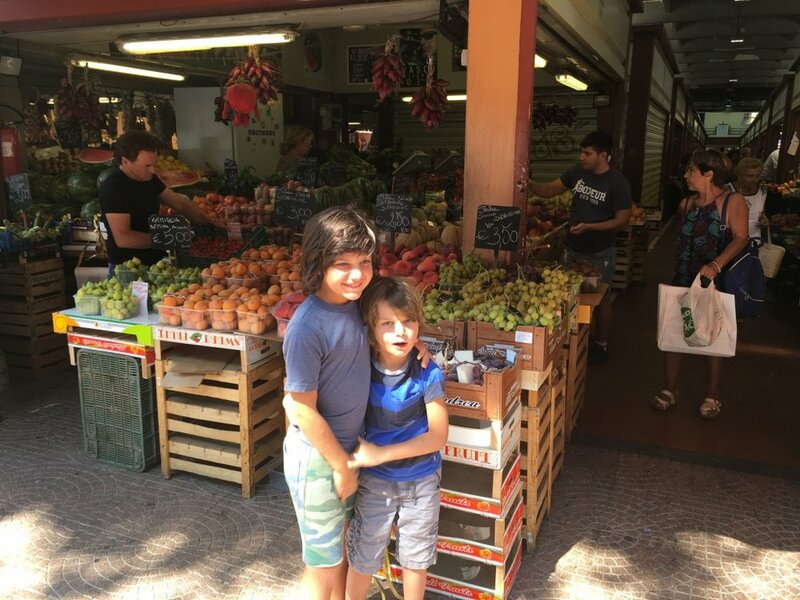 Anyway, here are my favourite three fresh produce markets in the South of France: the large market in Cannes, the small, but awesome traditional market in Antibes, the glamorous, if pricey, Place D’Armes market in Monaco. 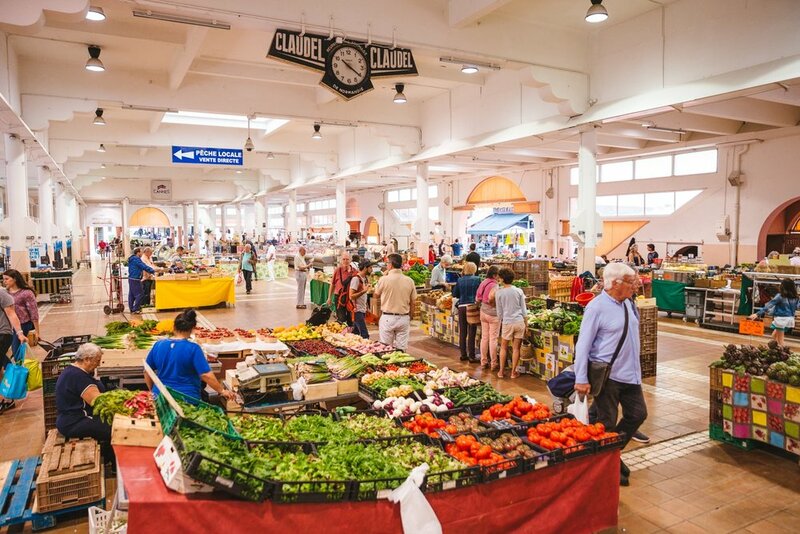 There is also an honourable mention of my wife’s favourite market, located in the border town of Ventimiglia, Italy. 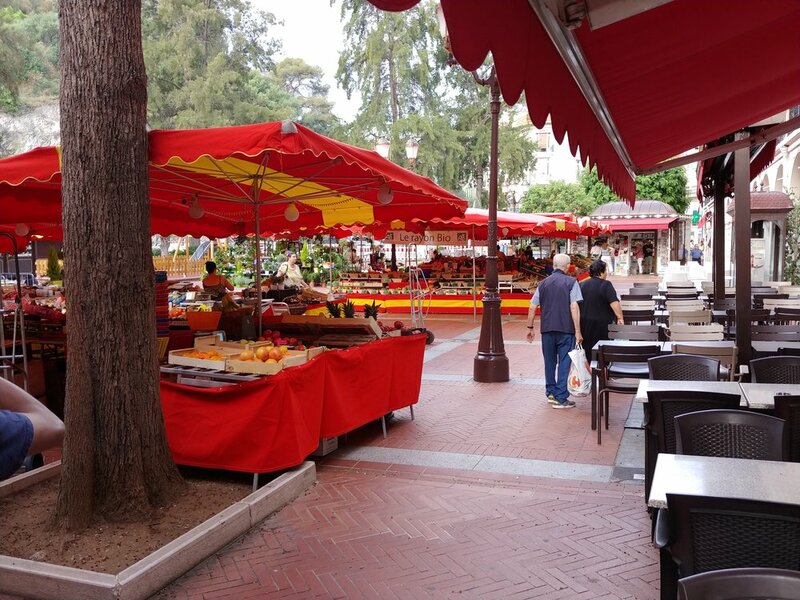 Cannes market, otherwise known as Marché Forville is a large, open-air market with many local growers as well as some bigger market stalls. You can buy artisan cheeses, flowers, cured meats, eggs, fresh fruit and vegetables. This market is a very pleasant assault on your senses. The colours, the smells and even the sounds are amazing. The market is located between the train station and the railway station. It is open from Tuesday to Sunday. Antibes market, otherwise known as Marche Provencal is much smaller, housed under a corrugated iron roof in the old town. This market is a little gem. 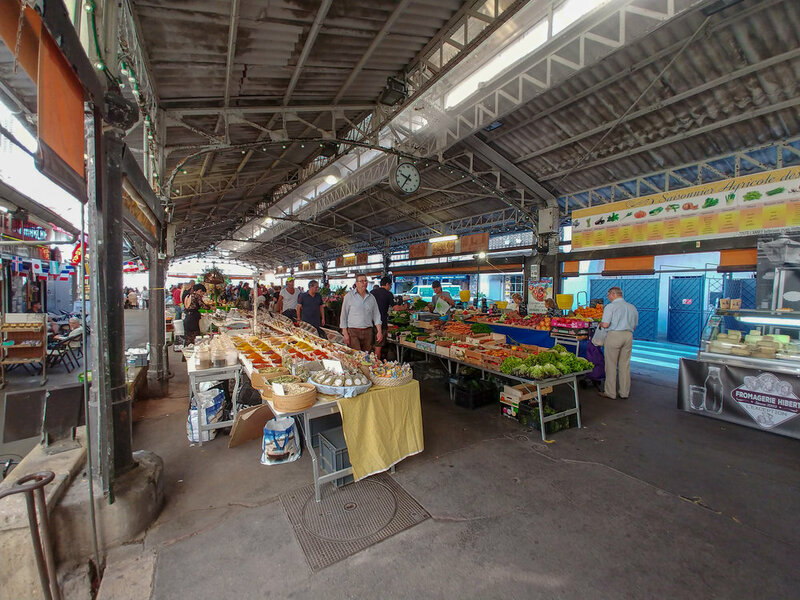 It looks exactly how you’d picture a South of France fresh produce market to look. Down to the weathered faces of the no nonsense local farmers. Even if you are not going to buy anything, this market if a fun experience. Plus it’s surrounded by many cafes where you can take a break and watch people go about their daily business. 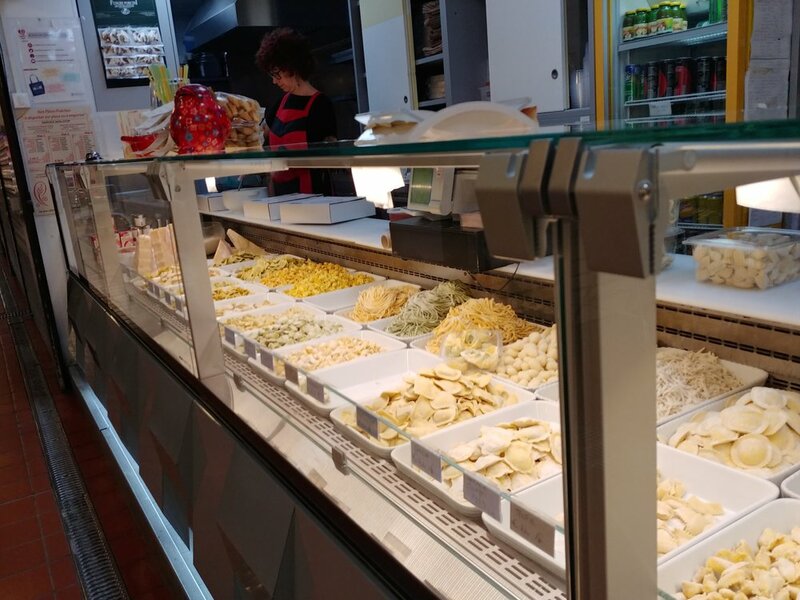 Marche Provencal is open daily from 06:00 until 13:00 (except Mondays during winter). 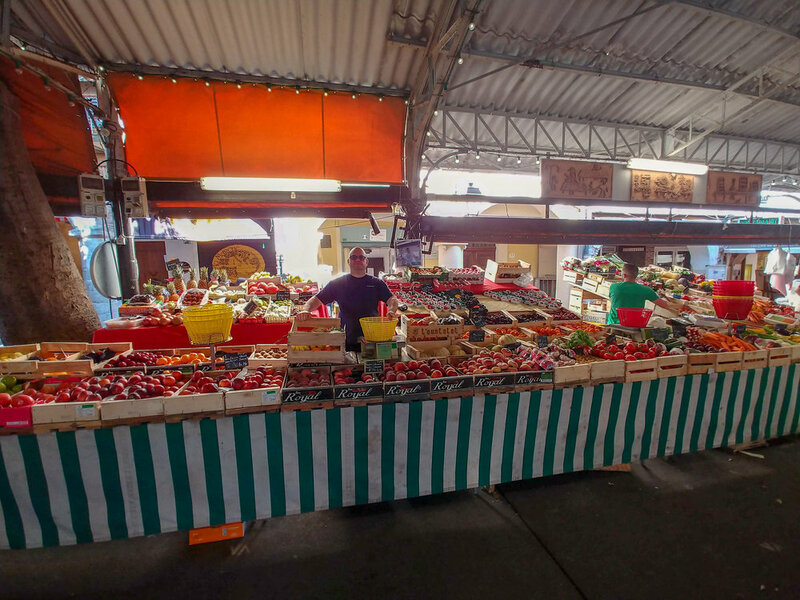 Monaco Market, otherwise known as Place D’Armes market, is a fresh fruit, vegetable and flower market opened every day in the heart of Monaco. It is located just on the side of the Rock, the same Rock on top of which the Prince’s palace is perched. The action starts at 6:00 in the morning. The market is full of established market stallholders, with tables teaming with seasonal vegetables and herbs. There is also a food hall behind the main outdoor market serving at lot of different local foods. Make no mistake, like almost everything else in Monaco, this market is beautiful, but eye-wateringly expensive. P.S. According to my wife, if you live on the Cote D’Azur the best market in the area is the one in Italy, in the border town of Ventimiglia. It is cheaper than the French ones and the local produce is superb; however, nowadays you will also be faced with a sad reality of the current migrant crisis, as there are many African men biding their time in a limbo. What is hiding in Marina Baie des Anges?